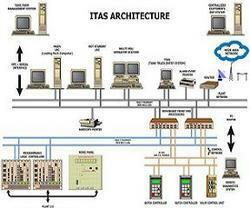 itas (integrated terminal automation system) is developed using sirius as its core, to provide terminal automation system for oil/gas industry. Itas integrates various aspects of a terminal viz. Truck terminal automation, integration with erp / inventory system of customer for truck and re-conciliation of data, tank farm automation, pump house automation and integration with tfms. Terminal automation system, by its nature, requires high level of user interaction. Keeping this fact in mind, itas has been designed with a flexible system configuration that can be tailored to suit requirement of various customers. By using sirius at its core, it provides seamless integration with sirius scada.